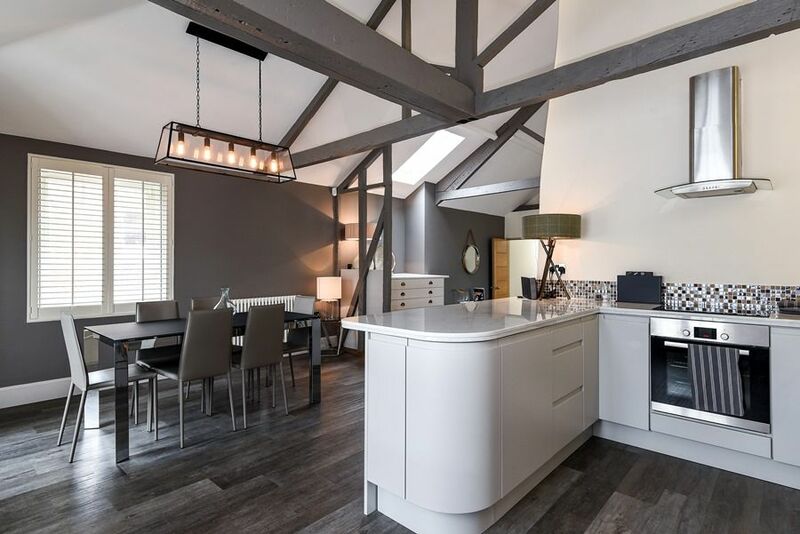 Cathedral Loft is a fabulous stylish loft conversion in a prime position in the heart of Norwich's historic Tombland area with stunning views of the cathedral from the private roof terrace. 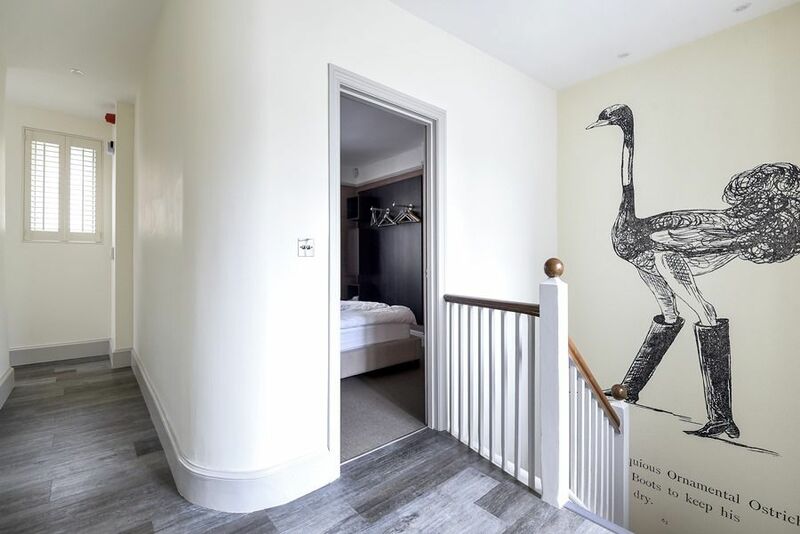 No expense has been spared to create this ultimate boutique hotel style luxurious city accommodation which has two beautifully presented bedrooms, each with their own contemporary bath/shower room. 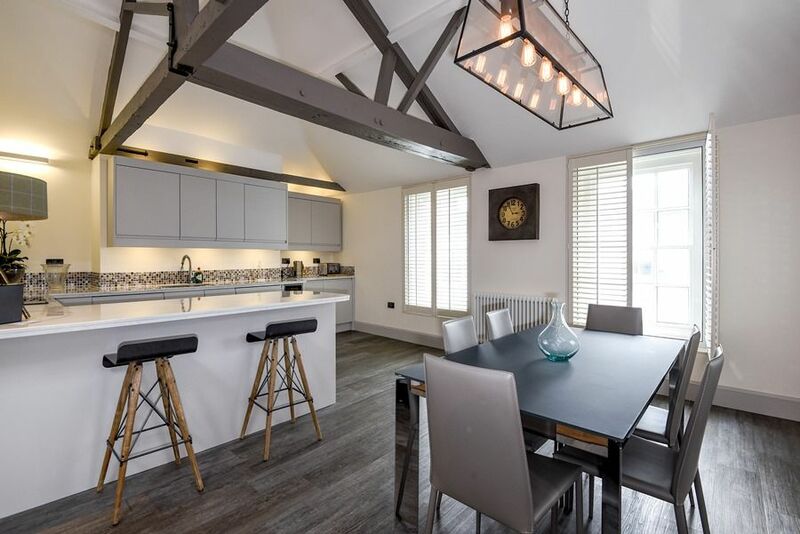 Guests have plenty of space to relax, cook and dine, with an absolutely gorgeous living space with contemporary kitchen, stylish dining and sumptuous sitting area. 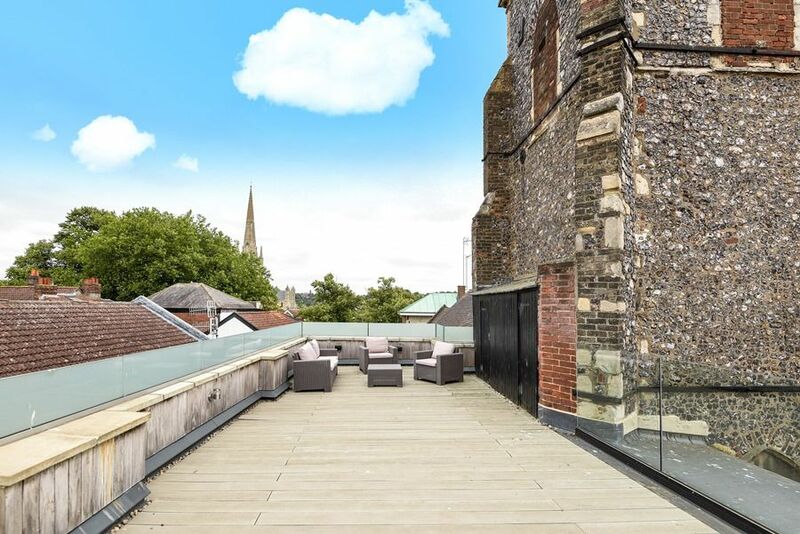 For warmer days there's a newly created private roof terrace with outside seating, offering lovely views across the city and to the cathedral. 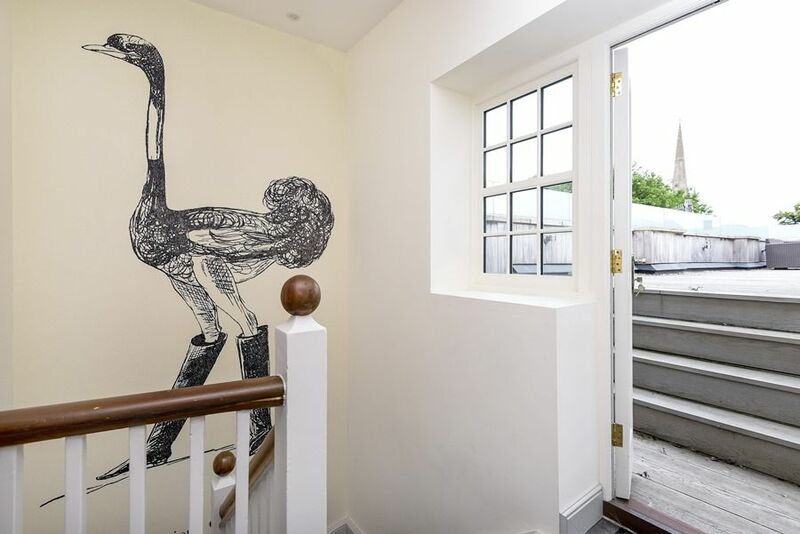 It has its own private entrance hall and is only steps away from the entrance to the cathedral and a short walk to Norwich's excellent selection of shops, restaurants, bars, clubs, theatre and cinemas. 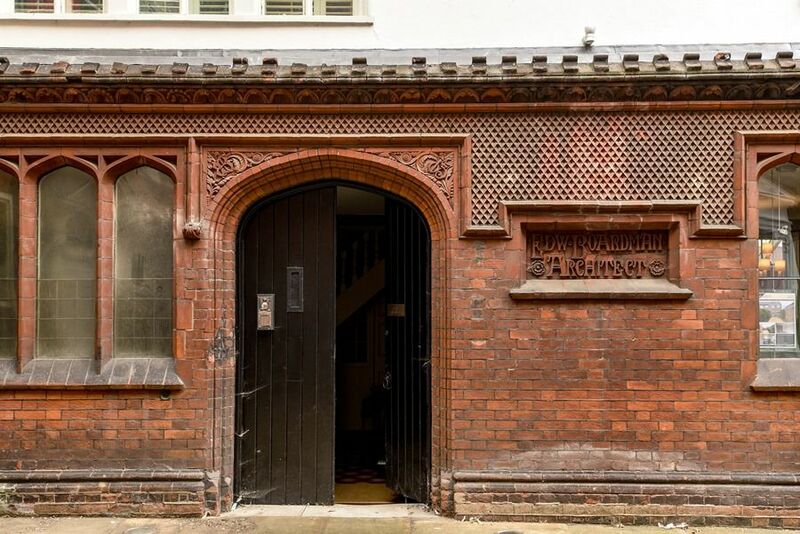 Cathedral Loft has its own separate entrance from a gated courtyard area off Queen Street. 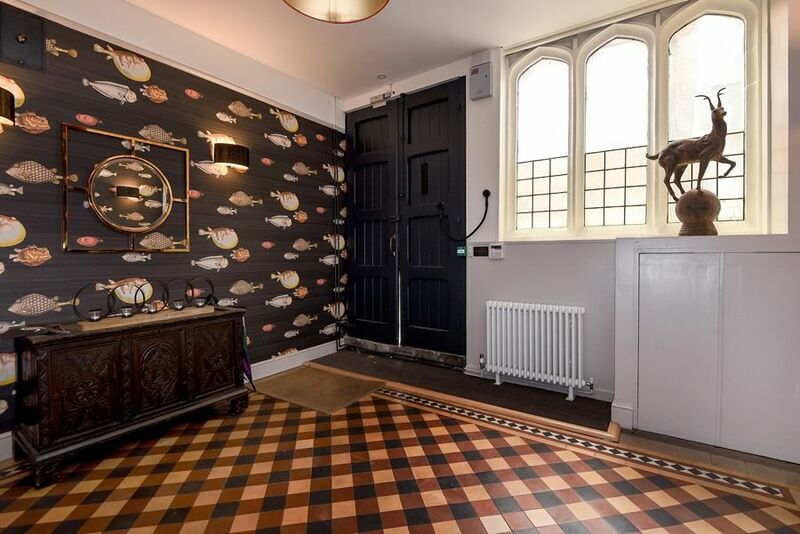 Entrance Hall: stylish spacious reception hall with plenty of space to store coats or bicycles. 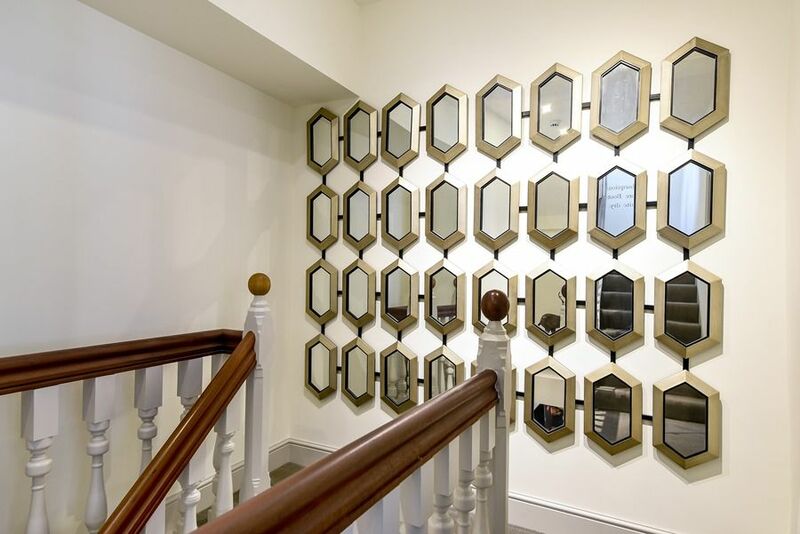 There is a staircase leading up to the luxurious accommodation which is all on the second floor. 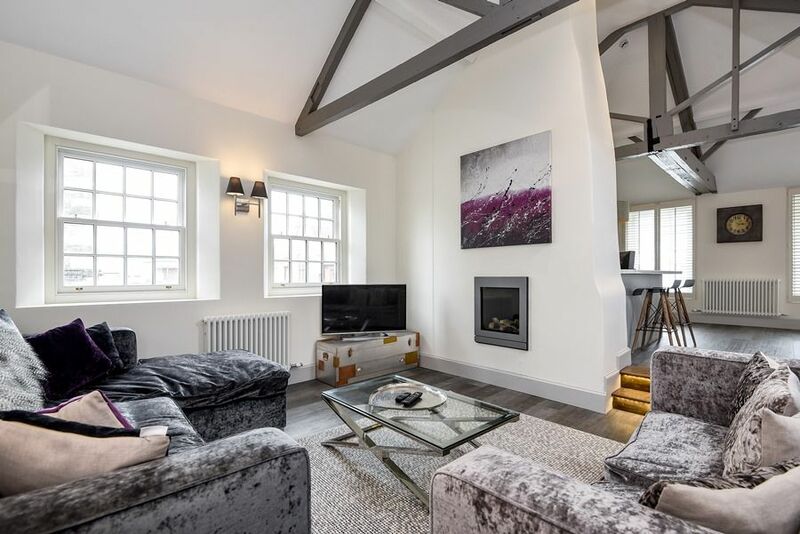 Has been creatively converted to produce a stunning high ceilinged open plan sociable living space with exposed beams, together with two lovely bedrooms and contemporary bath/shower rooms. There is a door from the landing leading out to the roof terrace. 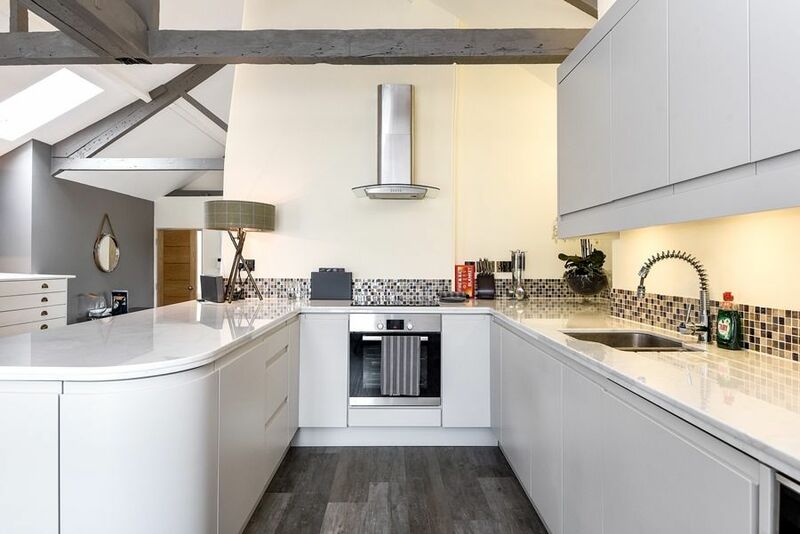 Kitchen/dining: a contemporary cream fitted kitchen which is really well-equipped to cook and cater for up to six people, with an electric oven and induction hob, fridge with an ice-box, wine cooler, integral dishwasher, integral washer/dryer and a breakfast bar with bar stools. There's a stylish large dining table dining table with six chairs and steps down to the sitting area. 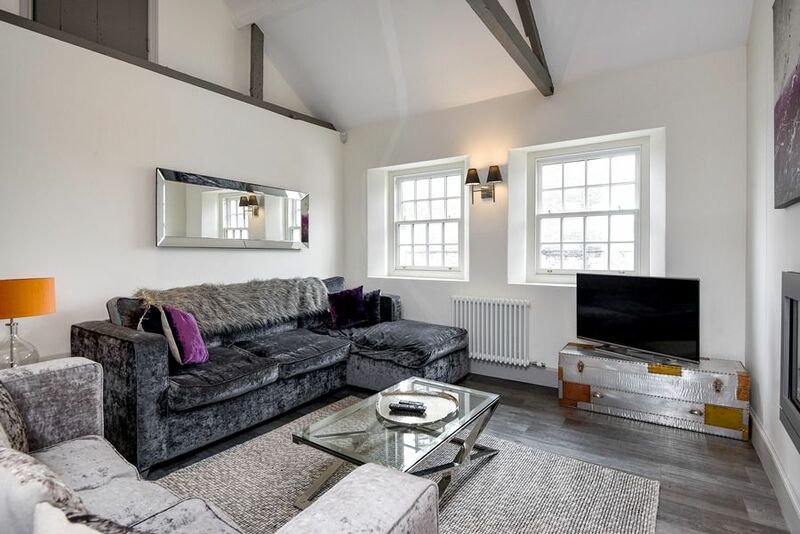 Sitting area: this is a lovely light and airy stylish room with luxurious velvet squishy sofas, flat screen digital TV, DVD player, Bluetooth digital radio and the advantage of free Wi-Fi throughout the loft. 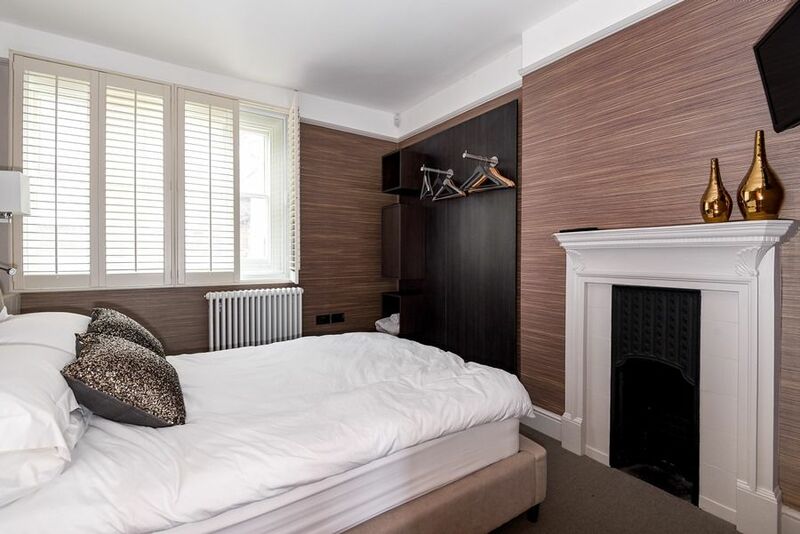 Bedroom 1: a sumptuous room overlooking the cathedral which has a king-size bed, bedside tables and lamps, dressing table and stool, hair-dryer, built-in wardrobe unit. 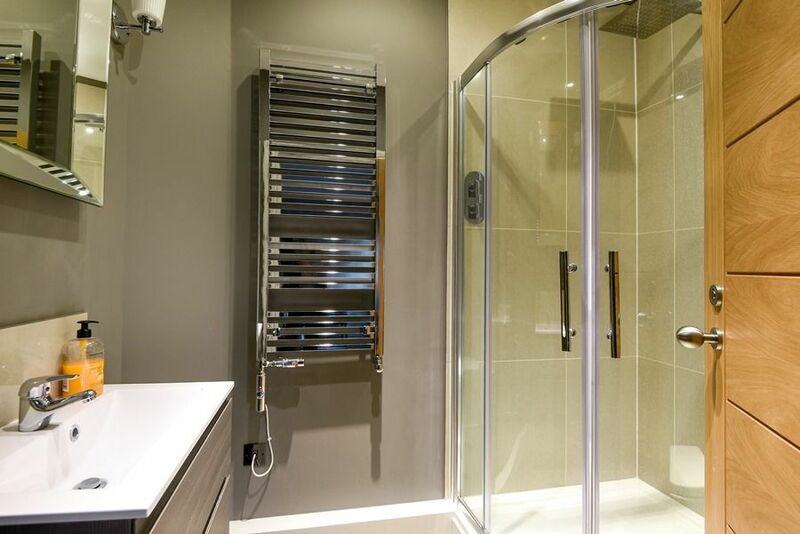 En-suite shower room: with walk-in shower, hand basin, WC and heated towel rail. 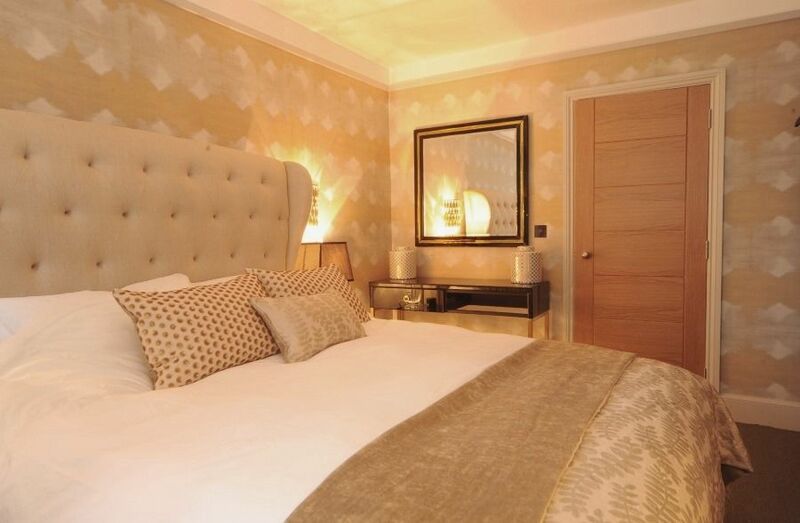 Bedroom 2: has a double bed, bedside tables and lamps, built-in wardrobe unit, dressing table and stool. 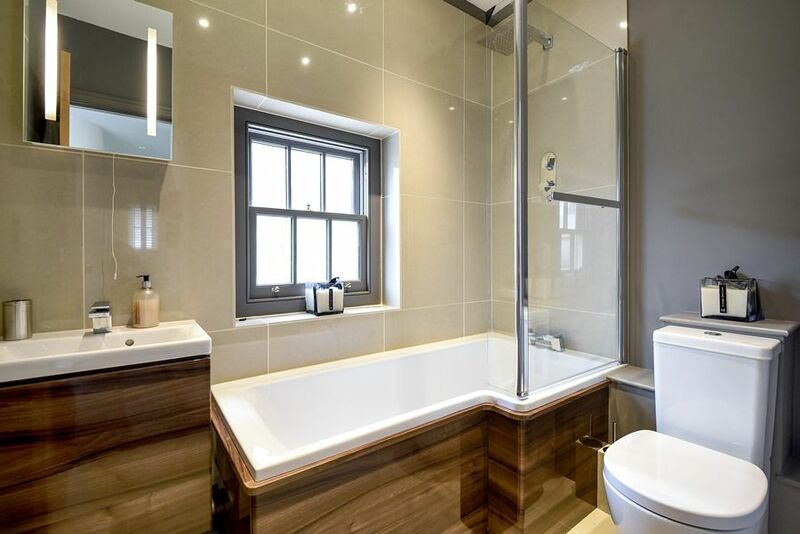 Bathroom: is opposite bedroom 2 and has a bath with fixed overhead shower, hand basin, heated towel rail and WC. 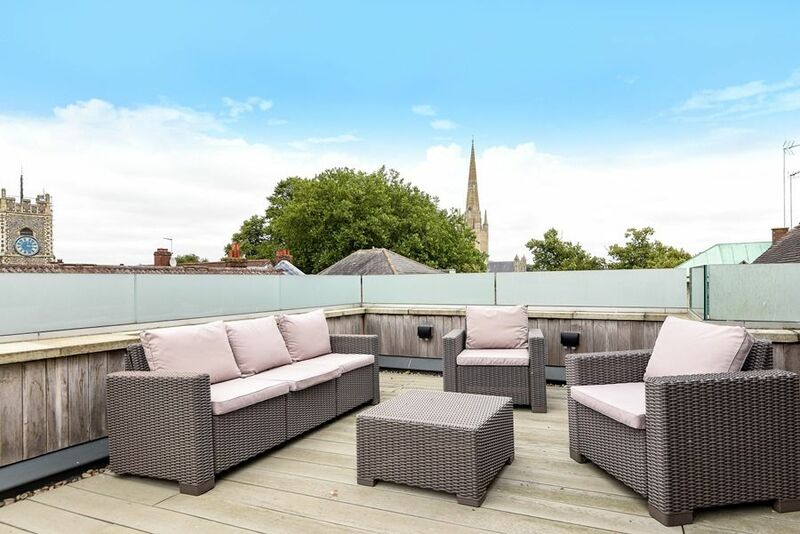 There is a fantastic private decked roof terrace enjoying roof top views across the city of Norwich and the picturesque cathedral. 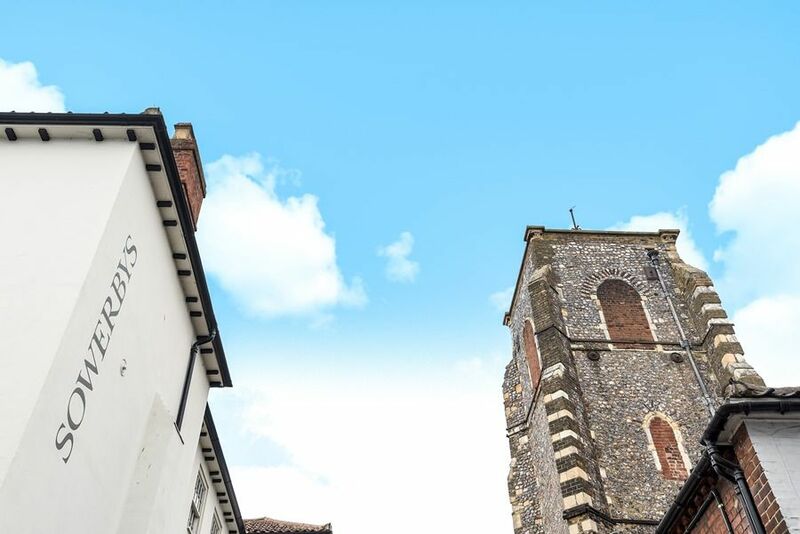 This is the perfect place to relax and enjoy a glass of wine al fresco or a bite to eat, or simply to relax after a busy day exploring the delights of Norwich. There is rattan outdoor sofa and chairs with bespoke outside lighting to make this a special spot in the evenings. 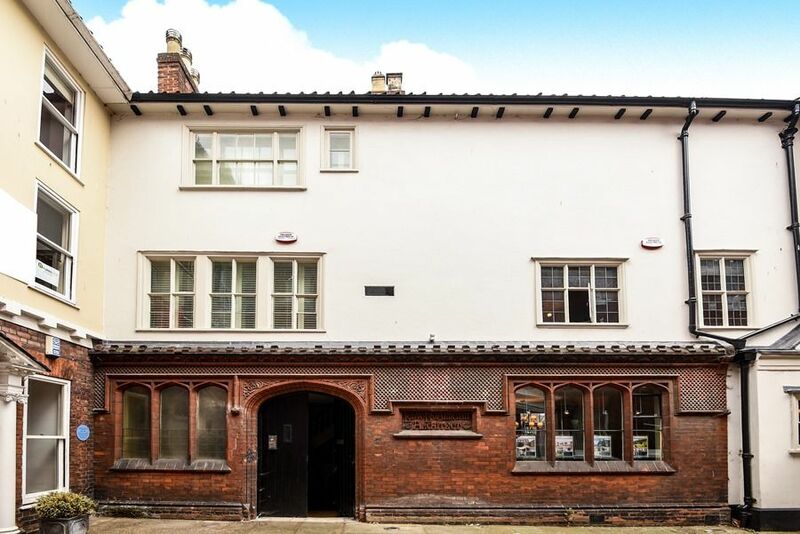 Please note that the Loft is located in an area of Norwich well known for its nightlife and although the building is really well sound-proofed, some outside noise may be heard. What can we say except “wow”? Apartment was just stunning. Incredible value for a beautiful, stylish and central space. Everything about the apartment was well cared-for and beautifully presented. If we had chosen a hotel that was anywhere near as lovely we would have paid a fortune. 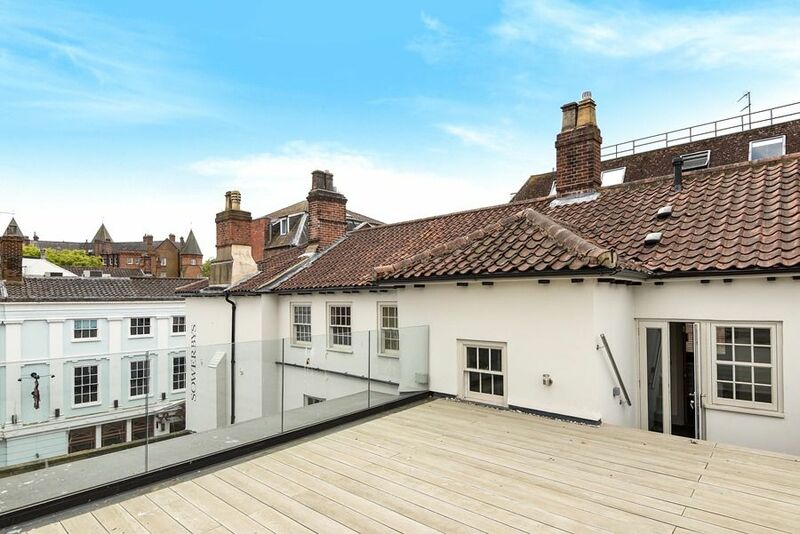 The flat is so spacious and classy, spotless and full of surprises- we loved the huge roof terrace with views across Norwich! The amenities were fabulous, lots of cooking utensils, brand new kitchen appliances, fluffy towels, wonderfully soft bedclothes. We were on tour singing in the cathedral for the weekend and our foursome really were the envy of everyone else in our tour party! It was so convenient for the cathedral and right in the middle of town. The only thing to be aware of is the nearby clubs on the same street, but the double-glazing takes care of most of the noise and it didn’t disturb us. Thank you so much for having us - we will recommend you to everyone! It is the perfect location and property for any event. Minutes away from everything you need or want to do. Would highly recommend, will be coming back in the warmer months. 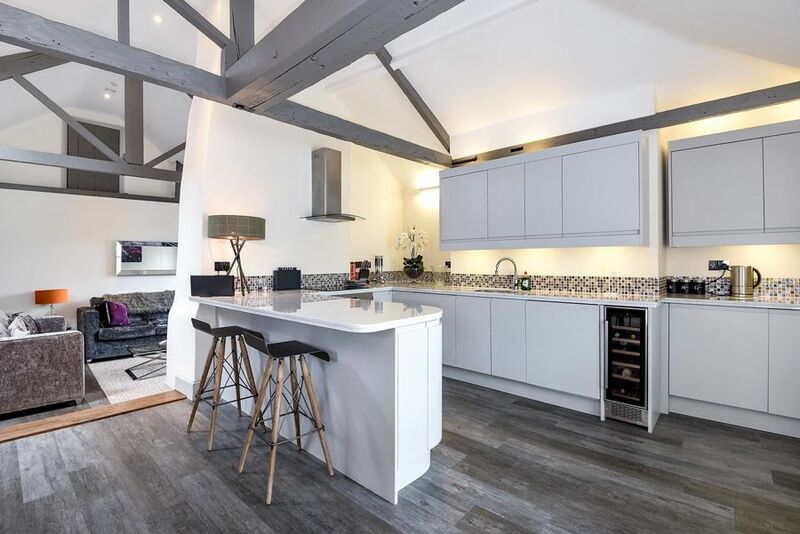 A beautifully finished apartment in a great location - so handy for the city centre, food, nightlife and shopping. The apartment has been done out to a very high standard, with apparently no expense spared! Everything was scrupulously clean and the welcoming touches of milk in the fridge etc were appreciated. Can't find a thing to fault - and will most surely be looking to stay there again when we return to Norwich!! 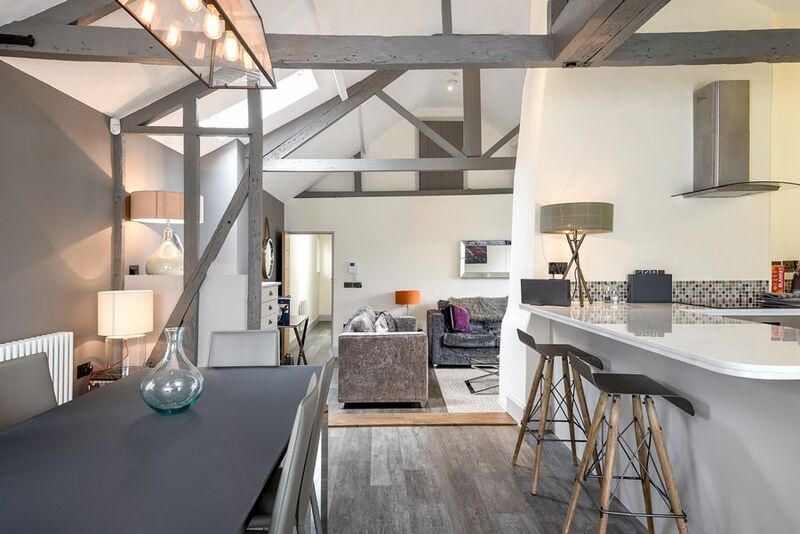 Cathedral loft is a cozy and stylish place in the centre of Norwich. 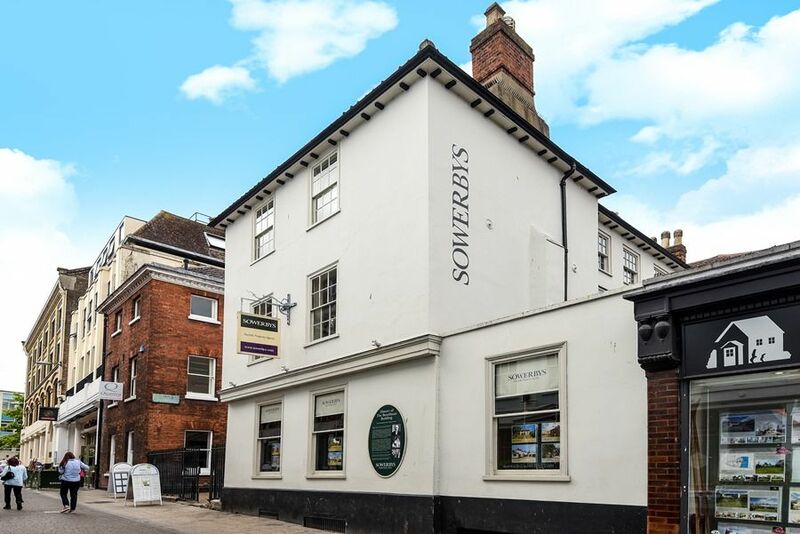 We enjoyed every moment of our stay, the apartment is great and very comfortable, close to pubs and restaurants as well as the fantastic Cathedral of course! Highly recommended! 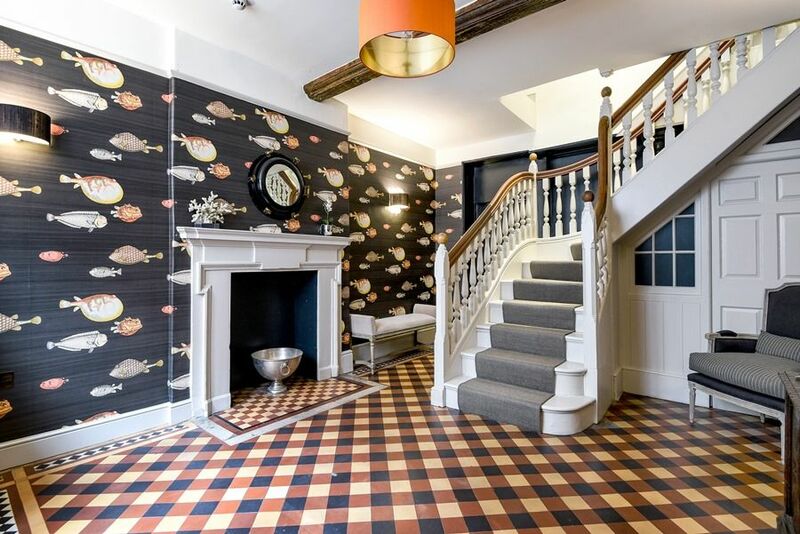 A stunning apartment in the centre of Norwich city. 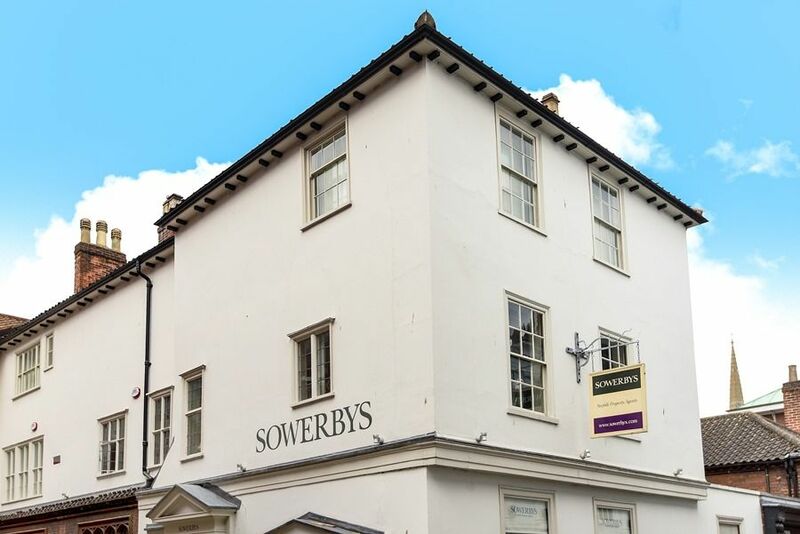 Easy walking distance to all of the shops, bars, restaurants and tourist attractions. Clean, modern, well laid-out and with some lovely touches (I.e., real flame fire centrepiece, huge kitchen-diner, and beautifully tasteful decor throughout the entire apartment. Incredibly comfortable beds which gave us the best nights’ sleep ever. 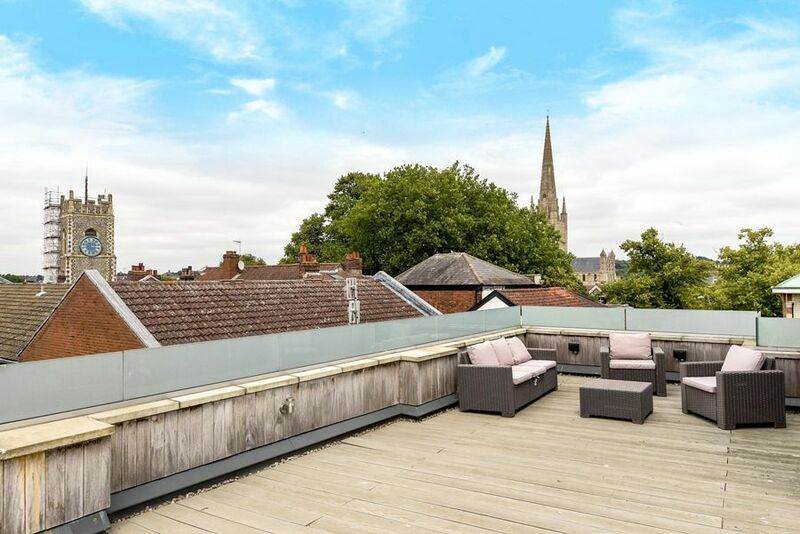 The roof terrace is amazing, with lovely views across the city and of the cathedral. There are some basics included on arrival, tea, coffee, milk, wine and beer in the cooler, which is really helpful if you’ve had a long journey or a late arrival. We were going to book the Premier Inn, but so so glad that we didn’t and booked this apartment instead. We stayed for 2 nights. We ate out at a local restaurant on the first night. But the second night we decided to stay in the apartment and cook. It was so relaxing and comfortable. Absolutely everything you need to cook and dine in comfort. We wish we’d stayed in on both nights. Loved this place and were sorry to leave. But we’ll DEFINITELY return, and recommend to family and friends. Thank you for a wonderful stay in Norwich. 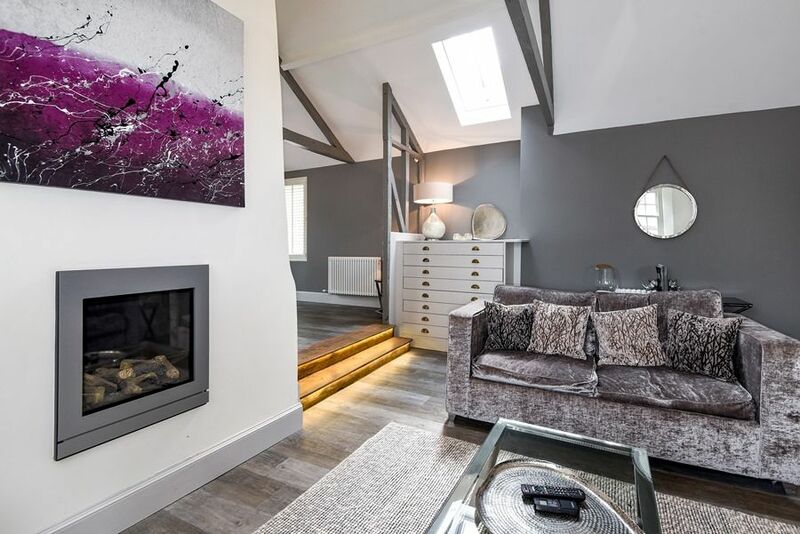 If you would like to see more of our holiday homes in and around the Norfolk coastal town of Norwich, please click here.